Almost all lawyers offer the same fee arrangements and almost all lawyers claim expertise in accident recovery or personal injury. You need to know an attorney's reputation for honesty, dependability, successful representation, ability to predict the likely outcome, and promptness in returning your calls. Your best source for such referrals is to ask friends, family, your doctor, people employed in the legal system, or acquaintances who have used an attorney. Reinig, Barber & Henry is experienced in automobile accident recovery, personal injury, wrongful death, medical malpractice, crop loss, and nursing home abuse. 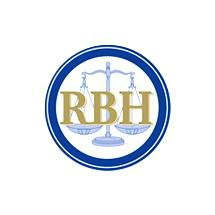 Reinig, Barber & Henry is a full personal injury service law firm, with attorneys located in Tri-Cities, Washington. Reinig & Barber provides legal services for Pasco, Kennewick, Richland, Yakima, Spokane, and all of Eastern Washington. If you require more specific or personalized assistance, we encourage you to consult with an attorney by contacting us at (509) 735-0535. Reinig & Barber is located in Tri-Cities WA and provides legal services for Benton and Franklin County, Spokane County, and all of Eastern Washington.